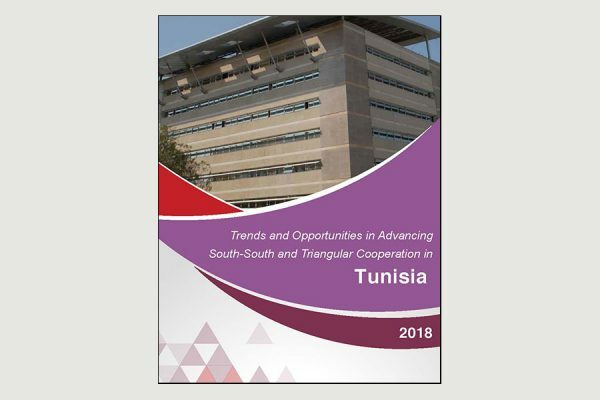 The stocktaking reports aims to explore and define Tunisia’s long history, strategic preferences and priorities in South-South cooperation, as well as focusing on the great experiences and potentialities that Tunisia has been providing to many countries in the region within the framework of South-South and Triangular Cooperation SS&TC. The stock-taking exercise was conducted to identify relevant South-South cooperation frameworks, conditions, patterns, successful practices and challenges at the level of individual line ministries, public agencies, as well as UN agencies, funds and programmes and development cooperation partners active in Tunisia. The methodology of the stocktaking includes desk review of the existing policy and institutional frameworks for SSC and TC in Tunisia, survey was designed aimed to collect information on existing capacities and expertise as well as data for analysis of the current state of SS and TC in the country. Broad consultative meetings with the key governmental institutions, international partners and private sector was conducted, twelve consultative meetings with the governmental institutions recommended by the Tunisian Agency for Technical Cooperation (ATCT), the national focal point for SSC in Tunisia coordinating the stocktaking on the side of Tunisia, as well as with United Nations Country Team UNCT, six UN agencies and development cooperation partners contributed to the analysis with valuable information by provided additional data for the analysis of the potential areas for cooperation, including knowledge and expertise sharing, best practices as well as significant potential activities that can promote the active engagement of Tunisia in South-South cooperation, and informed the findings of the stocktaking exercise.